Hoi An developed most of its uniquely eletric townscape between 16th and 19th centuries. During most of this time, it was a major paport open to several foreign influences. The Japanese established a community west of the Covered Bridge during the 16th century, while the Chinese founded many communities in the center and east of town in the 18th century. Japanese and Chinese influence can be seen on the town’s building. Later, the French left a distinct colonial stamp on the southestern part of town. Over the years, many elements of these diverse architectural styles blended harmoniously with indigenous Vietnames features. 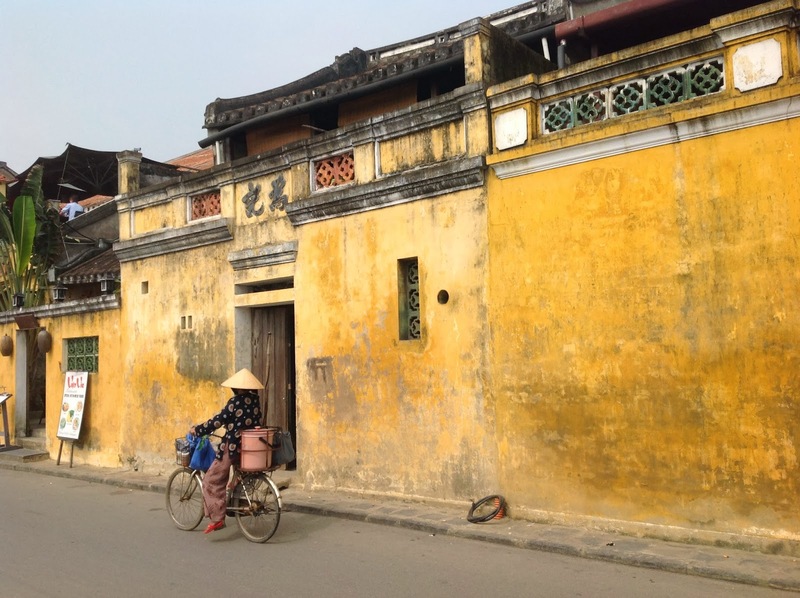 Hoi An was relatively untouched by the Vietnam War, and so the old world charm is still in place. Hoi An’s is a unique architectural amalgamation, not seen elsewhere in the country. In particular, Japanese, Chinese and French influences are evident in Vietnamese tube houses, which feature Chinese tiled roofs, Japanese support joists, and French louvered shutters and lampposts. The town is a mosaic of cultures and yet a synthesis of all the influences, thus holding an inimitable position in the country. Indeed, many travelers should notice that there are quite a lot of butter- yellow houses with red roof and moss green wooden shutters. French- colonial architecture is reflected in the town’s colonaded houses. 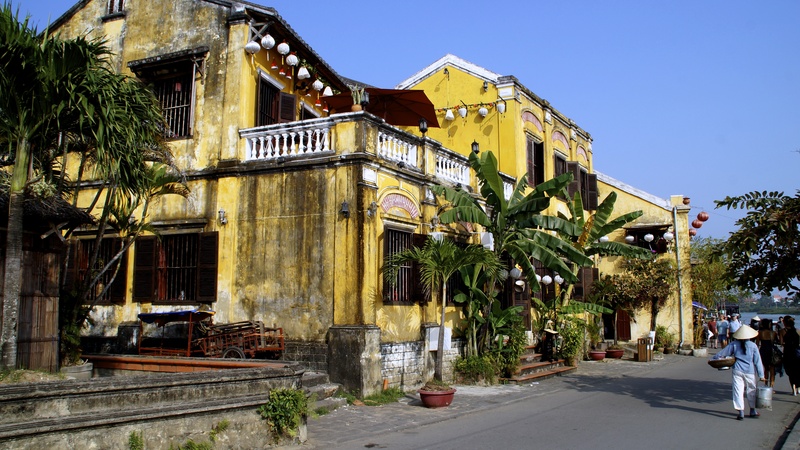 Especially in Hoi An, the only town in Vietnam that escaped the war entirely unscathed, you can see the house that were built in the 18th and 19th centuries but some date back to the time when the town really flourished in the 16th century. 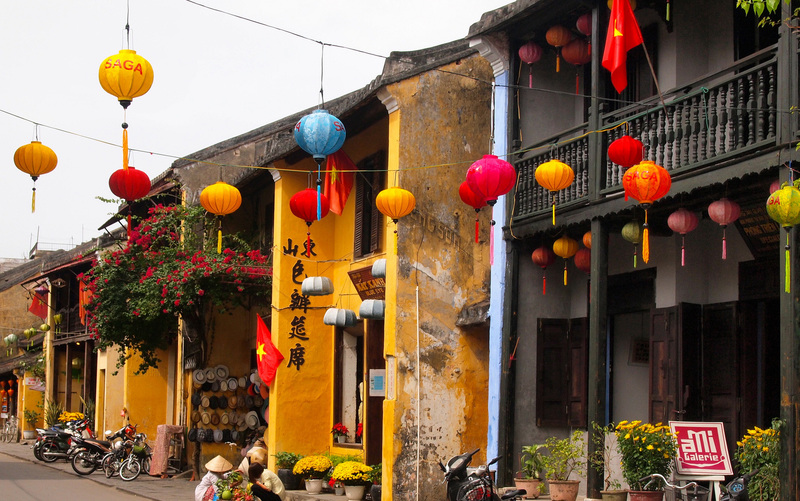 Most houses in Hoi An are painted warm yellow, with blue or green woodwork, and have verandas, balconies, and wooden shutters. Vietnames tube house have two courtyards, an outer one to separate business from pruvate quarters, and an inner one for the household’s women. Most of them are elaborately decorated with carved wood, stycco, or ceramic designs. 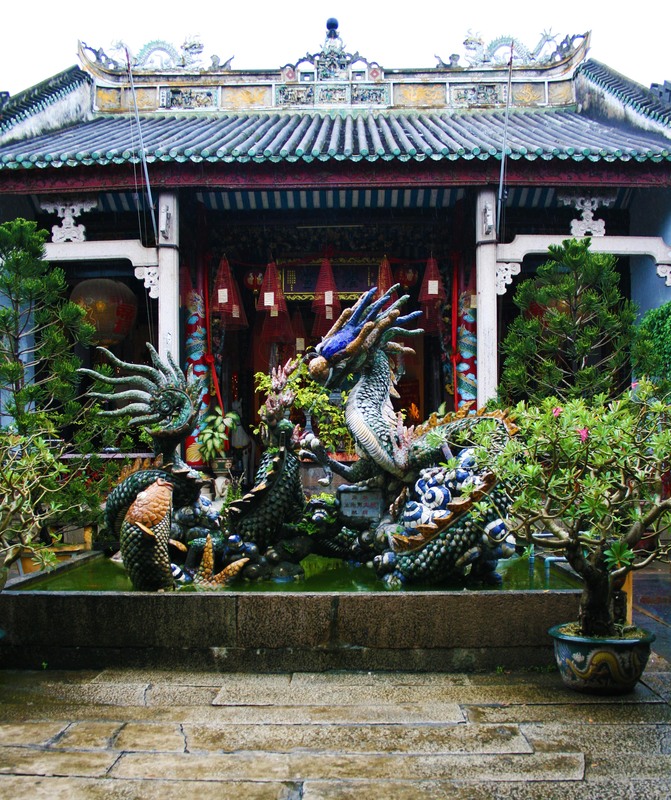 The Chinese dragon is mythical creature most closely associated with Sino- Vietnamese tradition, signifying contunuity, power, stability, and properity. It is ubquitous in Hoi An’s buildings. 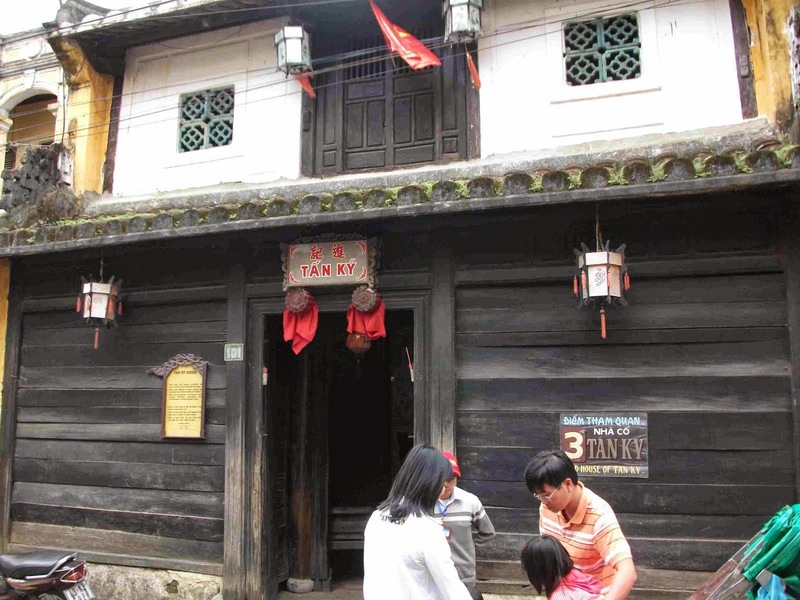 The Tran Family chapel, which dates back more than two centuries, exhibits varuous Chinese an Vietnames architectural alements, but is chiefly distinguisdhed by its Japanese- style, triple- beam roof joists. Today Hoi An is protected by UNESCO World Heritage Site status, and becomes a tourist destination as “where time stood still”. Unique architectural beauties attract travelers and make them curious about Hoi An culture. Different from any travel destionations in Vietnam, Hoi An is an attractive destination but also a patient and laid- back town. You definetly do not want to miss Hoi An in your Vietnam travel attractions check-list.